Just before my 27th birthday, I decided to visit some of my best friends in Houston. I love that they love to eat delicious food like me! I arrived Friday night and within 30 minutes I was on The Wave. It’s a shuttle bus service that’s $15 per person. They will pick and drop along their routes. Since my friend’s place was along their routes we called and scheduled our picks and drop offs. 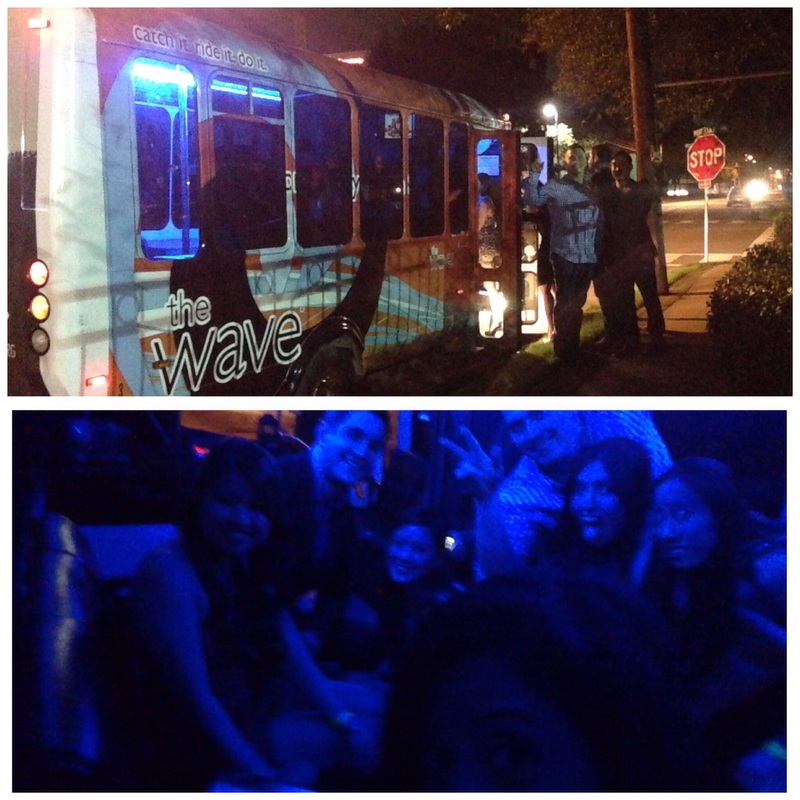 It was a party inside, with black lights, music, and a pole. The rest of the night was spent, celebrating another friend’s birthday at Gloria’s with VIP bottle service and salsa dancing. Well, mostly dancing. We’re all about the same age and just about in the same places in our lives, and don’t find it fun getting drunk and having a hangover. Since none of us woke up with a hangover, we were up early and ready to eat. My friend Trish decided to take us to Cafe 101 in Bellaire. First, it’s gorgeous inside, I’m biased cause my favorite color is purple. Purple and silver detailed decorated wall and seats. If it were after sunset, it would definitely have a romantic atmosphere. 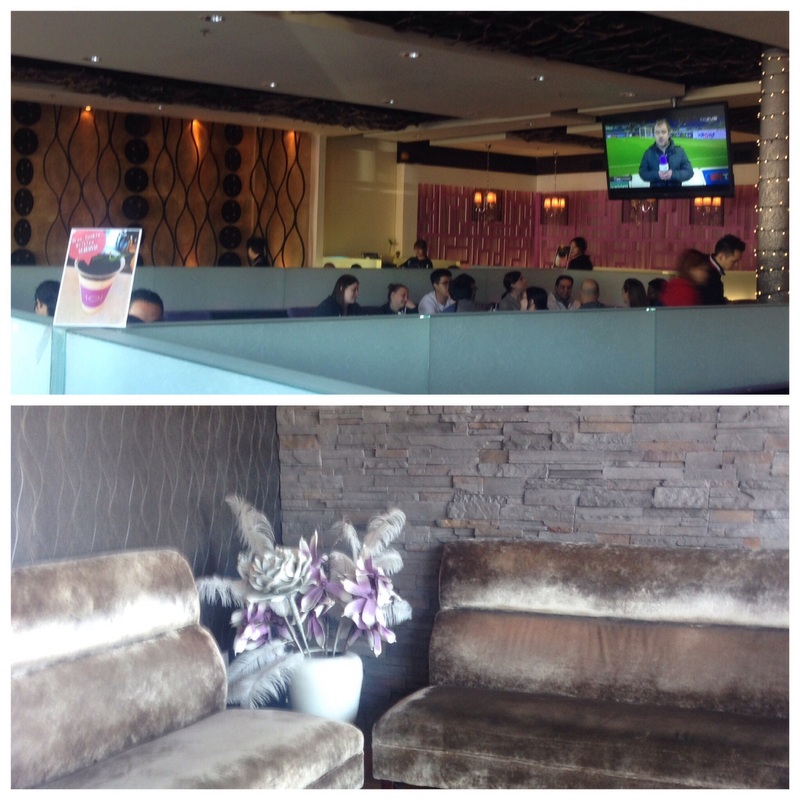 We went for lunch so the atmosphere was fun and energetic with top hits music playing. 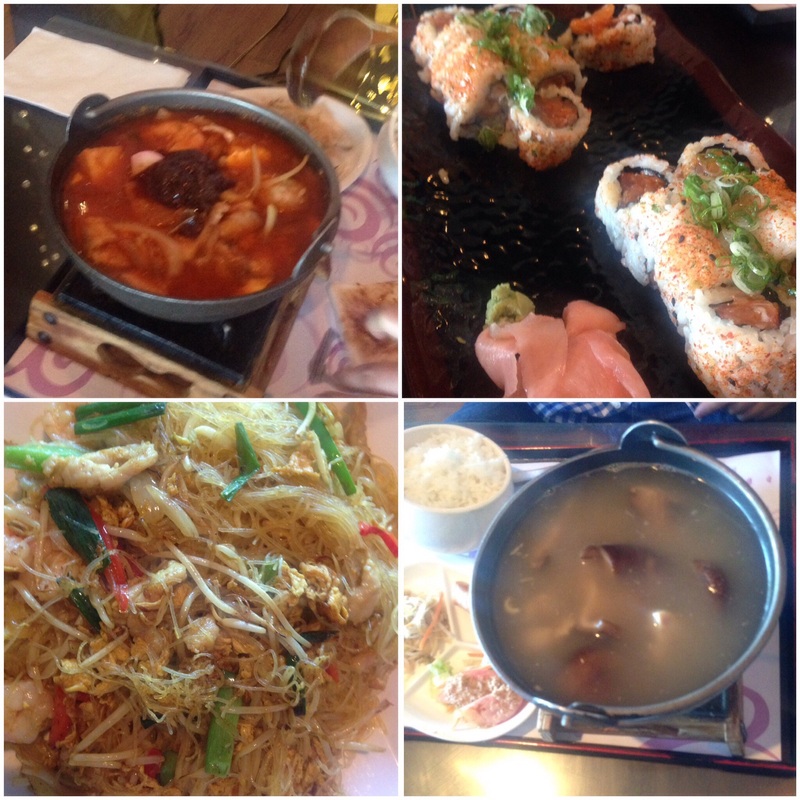 Trish and Darvin ordered the kimchi hotpot, and a side of the spicy salmon sushi roll. Dante ordered the Shitoki mushroom hotpot. I ordered Singaporean noodles and also side of the spicy salmon sushi roll. The hotpots had a great flavor. Stir them around and you’ll find a few chunks of bone. Now that’s what gives the soup stock a rich flavor. The Singaporean noodles, were glass noodles in a light yellow curry sauce with chicken and shrimp. Just enough curry to get it a hint of a little kick but not too much to over power the dish. Mhmm! Oh, and don’t forget the spicy salmon sushi rolls. Whew, they were good and spicy. 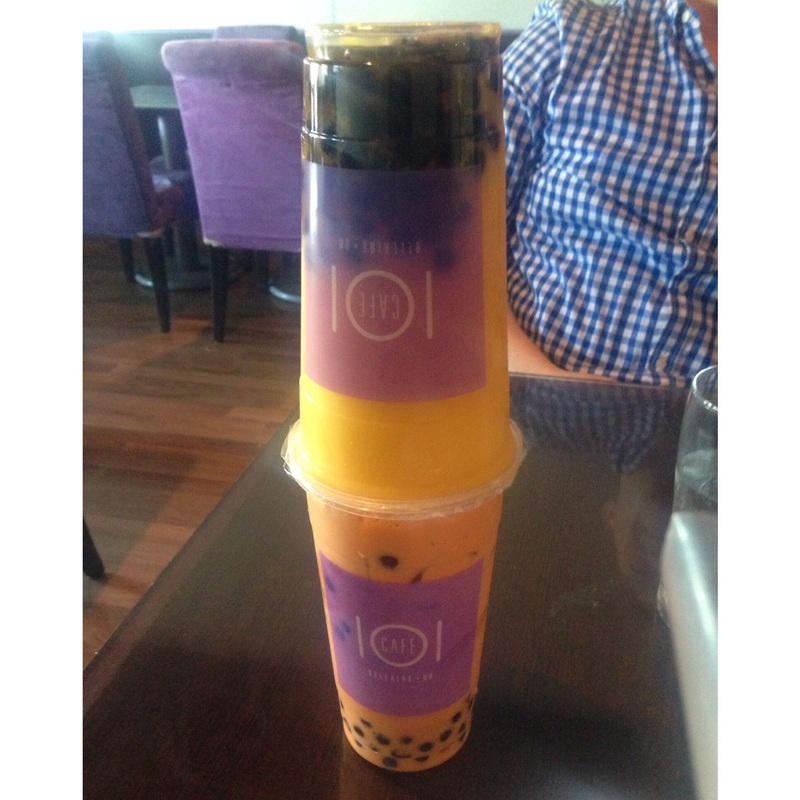 Glad I also got some Thai Tea with tapioca pearls to cool that down. 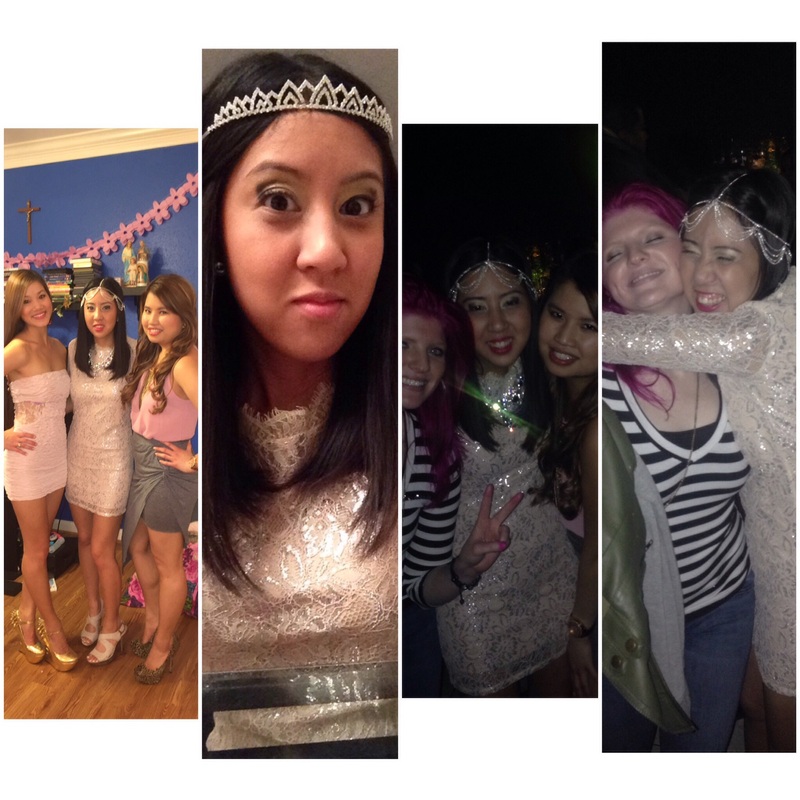 Since my birthday was coming up, we got all dressed up in pink and went out to Midtown for the night. Started at Drinkery and danced a little bit until everyone else met up with us. Then headed to Red Door. Upstairs was fun not so crowded and great music to dance and sing-a-long to. (When I go out I really don’t care much for drinking. I just love to dance!) We checked out downstairs but it was way too crowded. Being squished against a stinky, sweaty stranger attempting a bad dance move and spilling most of your drink on yourself or the person next to you is not my idea of fun. Thank goodness we headed back upstairs really quickly. Dance, dance, dance! About 1:20am we decided to leave early, pick up a few pizzas and go back to Trish’s and play a game of Cards Against Humanity. The menu is mostly pictures and they give you an order list that you write down the number of dishes you want. We ordered a total of 14 dishes. Man, I love Dim Sum Sundays! 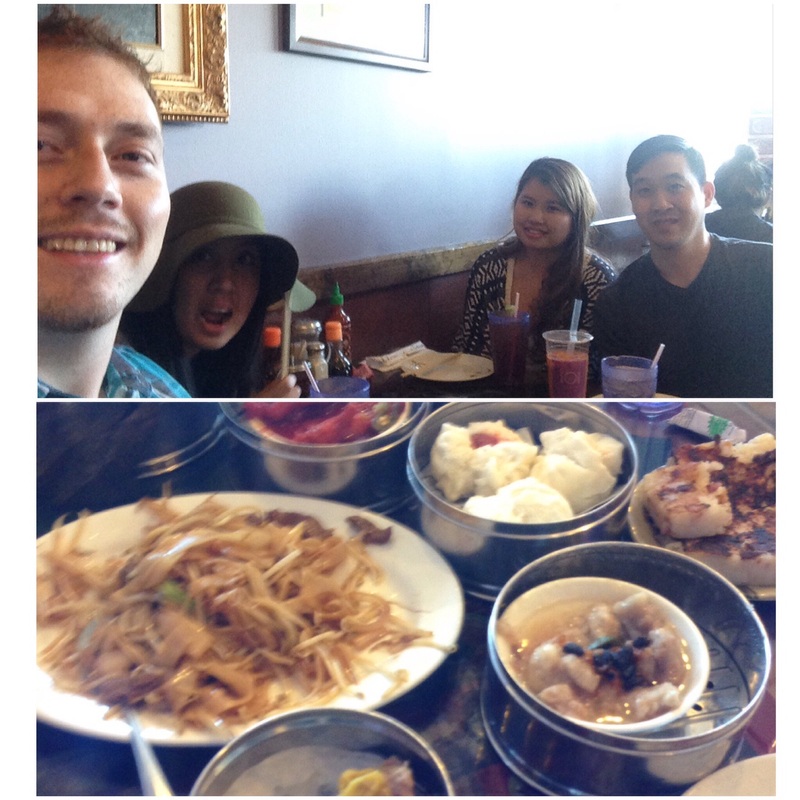 Sticky rice in tea leaves, chicken feet, bao, beef spare ribs, crispy shrimp balls, shu mai, hagou, oh my! I don’t even remembers everything we ordered. It was all scrumptious. Nothing had a freezer burn taste, which happens occasionally, at other dim sum restaurants. So good and priced pretty well. Splitting the bill between the four of us it was about $20.00 each. Previous Post 27 My Birthday Wish: Everyone make an ARK today!